Today in History–January 2–the Library of Congress features Haiti. 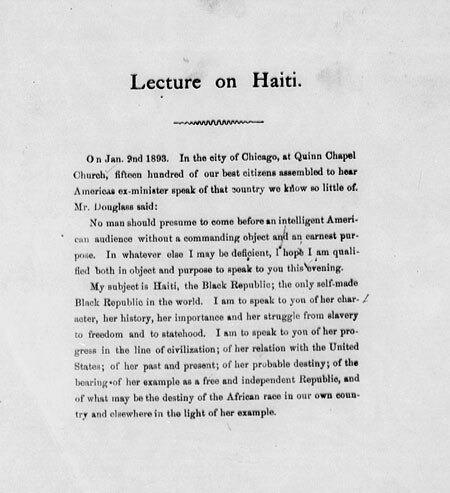 On this date in 1893 Frederick Douglass, who once served as U.S. minister to this caribbean country, delivered an address at the dedication of the Haitian Pavilion at the World’s Columbian Exposition. Learn more Douglass’ speech and the country by visiting the Today in History section, then click the links below to access related primary and secondary sources.